Argye Hillis will present the keynote address, “Mechanisms of Stroke Recovery: Evidence from Functional and Dysfunctional Imaging,” for the 2019 Winona B. Vernberg Distinguished Lecture Series on Thursday, January 24. The event, which will take place in Presidential Dining Room at the University of South Carolina Alumni Center (900 Senate St, Columbia, S.C.), begins at 3 p.m., and will be followed by a light reception until 5 p.m.
Dr. Argye Hillis is a professor of neurology at Johns Hopkins University School of Medicine, with joint faculty appointments in Physical Medicine and Rehabilitation and in Cognitive Science. She is the executive vice chair in the department of neurology and the director of the cerebrovascular division. Prior to medical training and neurology residency, Dr. Hillis worked as a speech-language pathologist and conducted clinical research focusing on understanding and treating aphasia and hemispatial neglect. She combines these areas of experience to impact her clinical research in neurology, which involves cognitive and neuroimaging studies of aphasia and hemispatial neglect due to acute stroke and focal dementias. She has published extensively on these topics in journals and textbooks. The Vernberg Lecture, which is free and open to the public, is named for the late Winona Vernberg, a professor and scientist who conducted research to improve the environment. Vernberg also served as the second dean of the Arnold School, helping the school flourish and expand during her 18 years of leadership. Since its inception in 2001, the Vernberg Lecture has become one of the Arnold School’s signature programs, bringing internationally recognized speakers to campus to discuss public health topics, including obesity, cardiovascular disease, strokes and aphasia, tobacco policy and air pollution. Parking in the adjoining parking garage on Park and Pendleton Streets is subject to availability and cannot be guaranteed by the USC Alumni Center. The garage is managed by the City of Columbia who charges hourly rates for parking. Entrances to the garage are located on Park and Pendleton Streets. After passing the entrance to the Hilton, please proceed on the second level and the entrance to Alumni Center will be at the side of the deck overlooking Lincoln Street. My Carolina's entrance from the Park Street garage is on the 2nd floor. Street level entrances are on Senate Street. 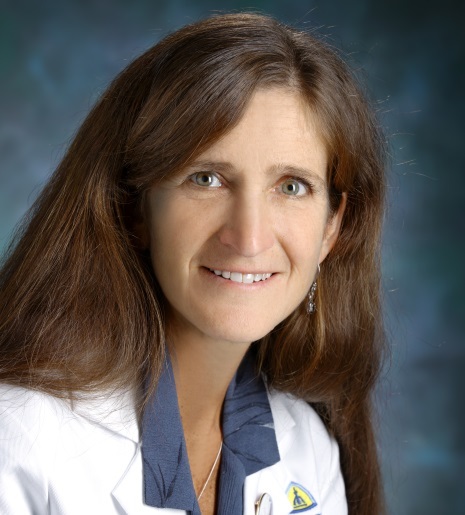 Dr. Argye Hillis is a professor of neurology at Johns Hopkins University School of Medicine, with joint faculty appointments in Physical Medicine and Rehabilitation and in Cognitive Science.